So, here we are in a beautiful part of the world... with open, creative, smart people with all they need at their fingertips, limited only by the power of their own imaginations – Guildford, it has a lot going for it. A nearby University to enrich the ecosystem. Environment: Guildford sits on the edge of a designated Area of Outstanding Natural Beauty – the Surrey Hills – hiking, biking, village living on Guildford’s doorstep. The Enterprise M3 LEP (Local Enterprise Partnership), one of 38 set up to drive economic growth of areas, is ranked 8th out of 48 sub-regions in England on quality of life score – and yet, we are on London’s doorstep, with Heathrow, Gatwick nearby. Infrastructure: Guildford is well served. The Surrey Research Park is a Santa Clara lookalike. 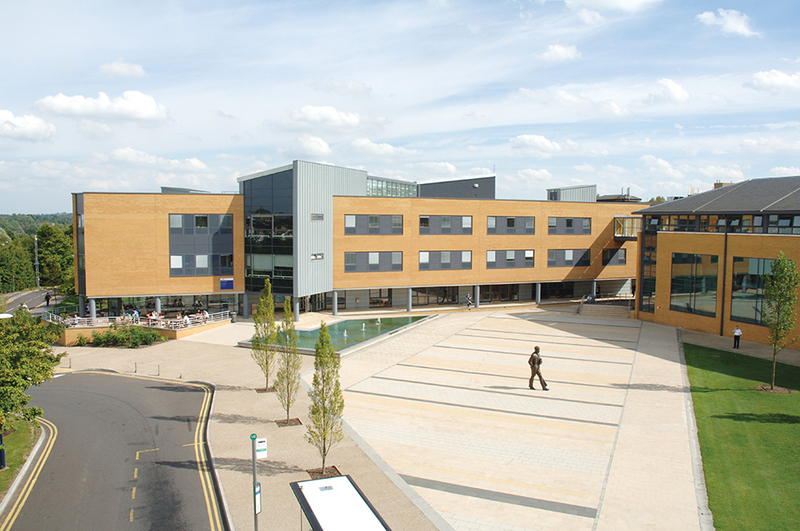 Owned and run by the University of Surrey, it hosts 140 largely tech-focussed companies and is home to the Surrey Technology Centre – a multi-unit centre and incubation hub serving more than 100 SMEs – and a node of the worlds’ leading university incubator SETsquared, a collaboration with the universities of Bath, Bristol, Exeter, Southampton and Surrey. 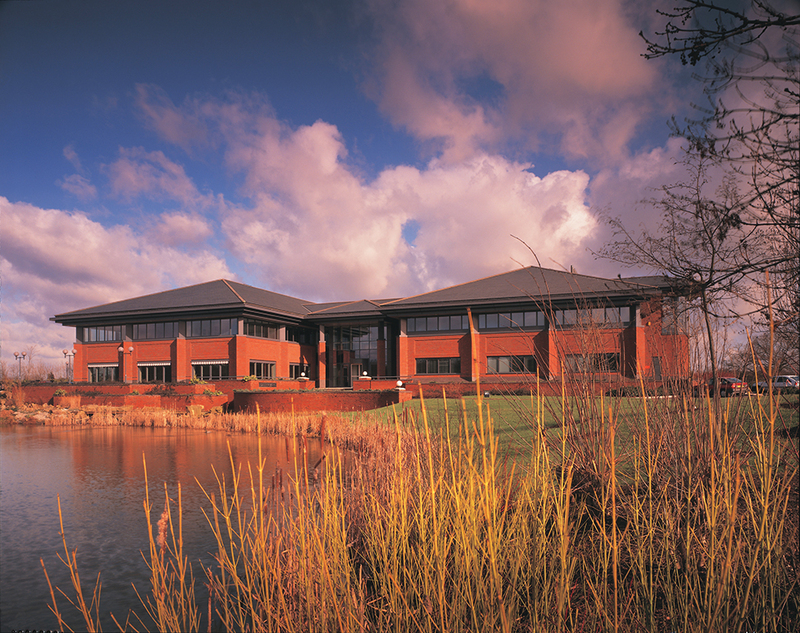 But there is more - the nearby Guildford Business Park is currently home to Philips and Ericsson and the funky Walnut Tree Close precinct, with its collection of resident games companies. University of Surrey: With its roots in the Battersea Poly, Surrey has always been about science, engineering and industrial engagement. Since its move to the present adjacent sites in Guildford, it has broadened to incorporate the humanities, arts and social sciences. Its adventurous and generous academic spirit sees it more and more exploring the unexpected “knowledge territories” where disciplines intersect – for instance, the collision of technology and its societal implications in everyday life, in business, in the law, and in our health. 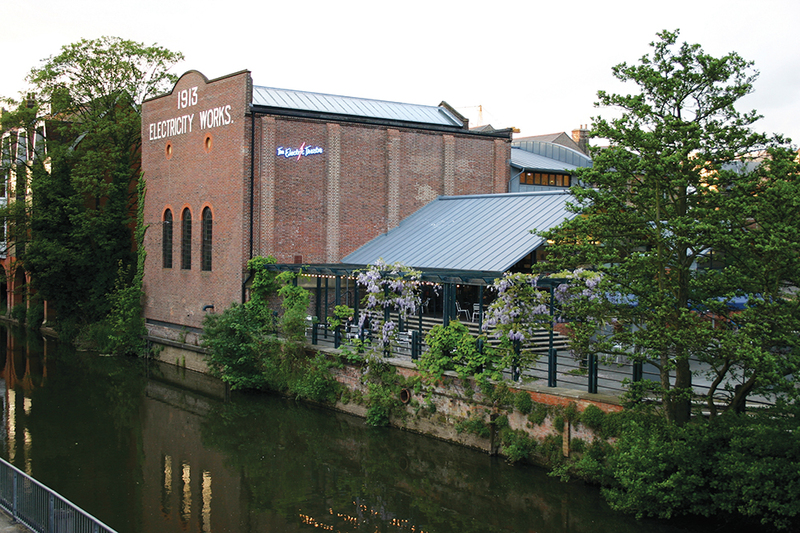 Virtual Connectivity: The digital infrastructure in Guildford is set to be supercharged in the near future with the Enterprise M3 LEP leading the charge. Ambitious plans are well advanced to create a multi-terabit fibre spine and International Internet Gateway linking the greater region around Guildford with Hibernia Express, a transatlantic submarine cable passing through Slough. Key to the plan is to support an early-adopter 5G Network, expanding the region’s 5G capacity at the University of Surrey’s 5G Innovation Centre. Digital Games: Guildford as a games location was kicked off in the 1980s by Peter Molyneux and is known worldwide as the “Hollywood of Games”. 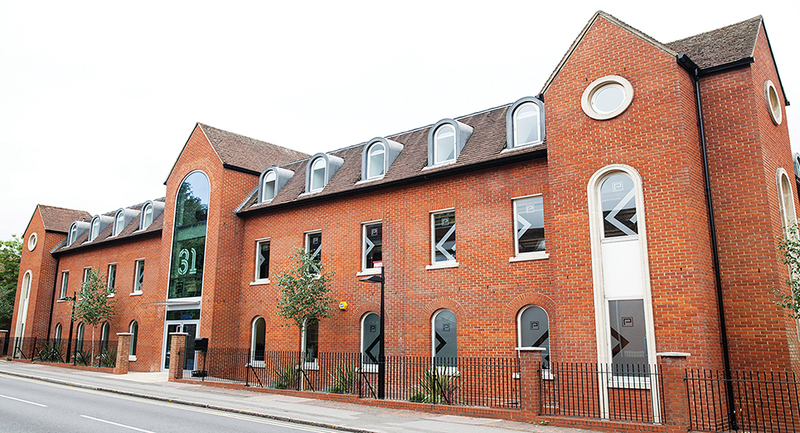 Molyneaux’s and others’ successes led to today’s concentration of creative and programming talent centred on Guildford, with 1000+ games developers working in some 70 studios – still innovating. Rocketdesk has established the world’s first 5G-enabled games hub – VR games are coming. The University’s Centre for Vision, Speech and Signal Processing (CVSSP) joined with UK Interactive Entertainment and the law firm Charles, Russell, Speechlys to launch the Galvanising Guildford Games Group. Forums like this, linking the University’s tech wonks to local games gurus, are so critical in pushing the boundaries of technology needed to produce the games people want to play. Space: SSTL, a global leader in baby satellites, is currently building 23 satellites and is a key manufacturer in the EU’s Galileo programme. Other space companies are joining them in Guildford – for example, Earth-i is offering high-definition, full colour video imaging from space, planning the world’s first such constellation, for sectors as diverse as financial services, farming and clean energy. 5G: 5G is a Guildford USP. 5G technology has become a catalyst for national innovation with the Department for Digital, Culture, Media and Sport’s regional test bed projects across the country. Surrey’s campus at Stag Hill is a 5G testbed, and it will soon be linked to other testbeds around the world. Players in the testbed include major telecommunications companies – BT, Vodafone, Huawei, EE and more. Europe’s first 5G controlled car demonstration took place at the University – and 5G will unlock much more, for example, machine intelligence as it becomes the driver of AI for machine-machine transactions. Blockchain/AI: Is also happening in Guildford – for example, local company Coinmode in payment systems for games/e-sports. And the University is creating another major testbed as we go to press. The skills needed to build games engines are the same ones needed to drive 5G, generate AI solutions and distributed ledger technologies, such as blockchain, and connect up satellite constellations – it all links up to create a turbocharged tech ecosystem. 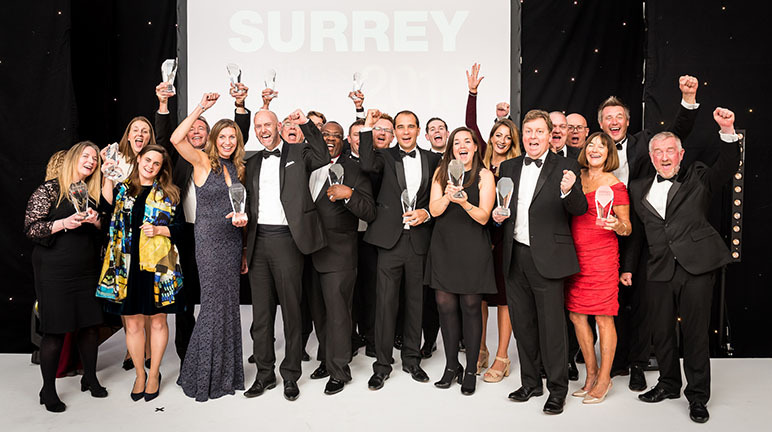 So, here we are in a beautiful part of the world, surrounded by the glorious green of the English countryside, shoulder to shoulder with open, creative, smart people with all they need at their fingertips, limited only by the power of their own imaginations – Guildford, it has a lot going for it.